Houston Rockets are an American Basketball team competing in Western Conference Southwest Division of the NBA. 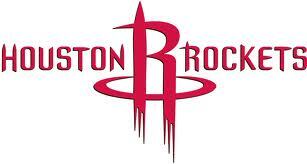 Rockets were founded in 1967 as San Diego Rockets and moved to Houston in 1971. The teams plays its home games at the Toyota Center. Houston Rockets have won two NBA Championships and have won four Conference titles. Rockets picked Hakeem Olajuwon in the 1984 Draft and Olajuwon went on to play 17 seasons for the Rockets, leading them to two NBA Championships in 1994 and 1995. Some of the prominent players to have played for Houston Rockets include Hakeem Olajuwon, Moses Malone, Elvin Hayes etc.